We have now come full cycle to the Winter Solstice and Midwinter and the quarter point of the year, the longest night and the shortest day. From here the cycle changes again, and light and warmth seep back into our lives. This is the time for our roots to burrow deep into the earth, giving us the space to integrate and process the past year. 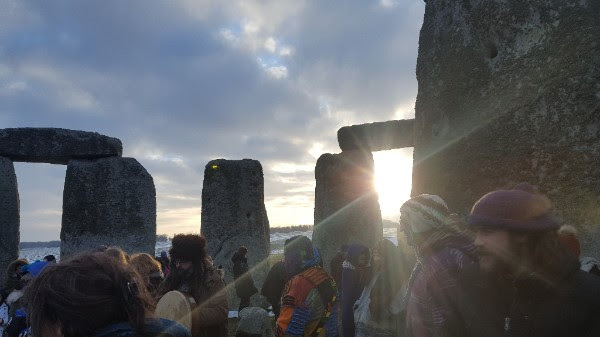 As the Sun rises on the solstice, take a spirit journey and connect with your inner voice. Allow the winter sunlight to bring you new hope and inspiration by clarifying a situation, or show you the next step on your path. An ancient solstice tradition is the burning of the Yule Log, representing a year of health, fertility and continuation. In ancient times it provided warmth, while the celebrations and festivities lasted throughout the longest night. This magical ritual was believed to protect those who used it’s warmth from evil and witchcraft. The ashes were spread over the land to bring fertility and made into talisman to protect cattle from disease. Make a yule log by covering a large log with winter evergreens such as, ivy, mistletoe, pine and holly and then burn it during Solstice night. If you are unable to do this, candles and a small symbolic stick or twig will work. Gaze into the firelight and reflect on the last six months, from the Summer solstice, and see how far you have come. See if any messages come bubbling up from within to help you prepare for this new cycle.